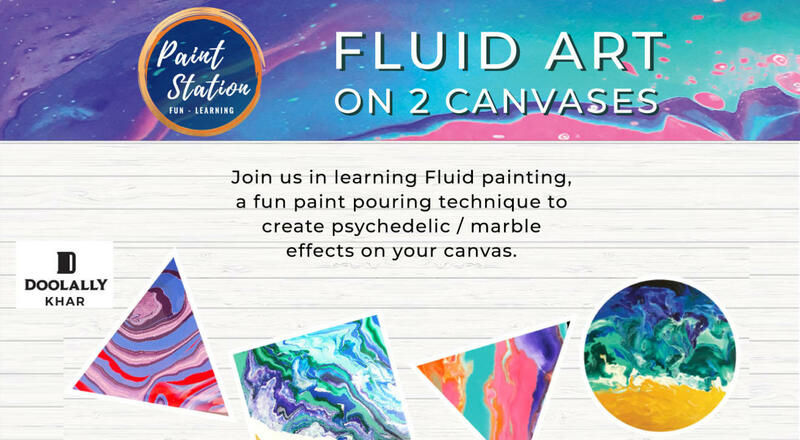 Join Paint Station at Doolally Taproom in learning fluid painting, a fun, paint-pouring technique to create psychedelic/marble effects on your canvas. Paint Station will demonstrate various techniques like galaxy pour & the ocean pour to simple marble effects. No prior painting experience is required. Indulge by doing this fun, colorful & artsy activity together with your friends, family, better half or kids, and also meet new people.